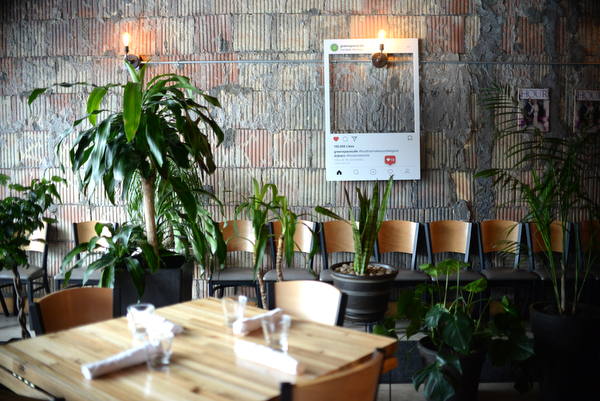 The head chef at GreenSpace in Ferndale is a veteran of the local plant-based dining scene. 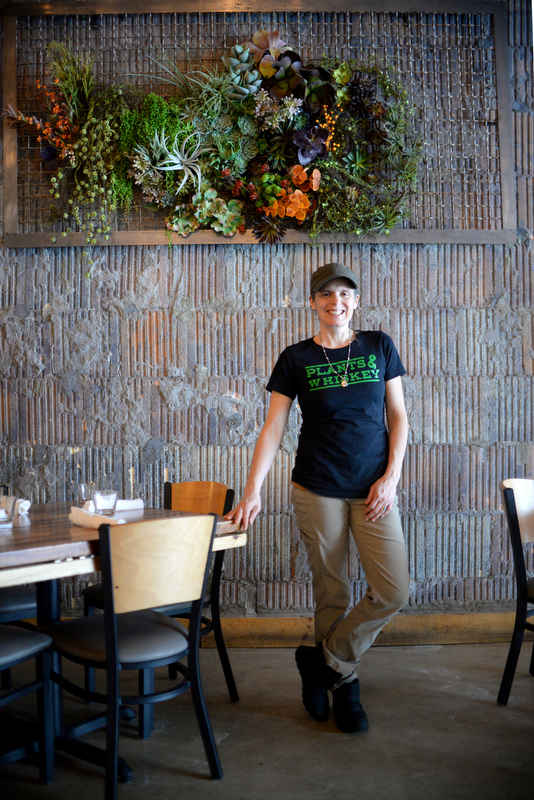 Amber Poupore has built her culinary career on raising awareness of plant-based cooking and eating with her businesses Cacao Tree Cafe in Royal Oak and The Clean Plate Restaurant in Shelby Township. But growing up, Poupore, 40, of Detroit, didn’t eat vegetarian or even healthy. She was raised by a single mom who worked as a nurse on the midnight shift, so Poupore and her siblings ate a lot of frozen and packaged meals. “A gourmet dinner was Chinese food or KFC — that was a big night,” she says. By the time she was 15, she and her friends, many of whom had cars, mostly ate fast food. Her diet led to a lot of health problems. She was overweight, had skin problems and struggled with depression and anorexia, she recalls. “It wasn’t the fact that I was eating meat or eating cheese or eggs. It was all of the processed ingredients that were making me sick,” she says. 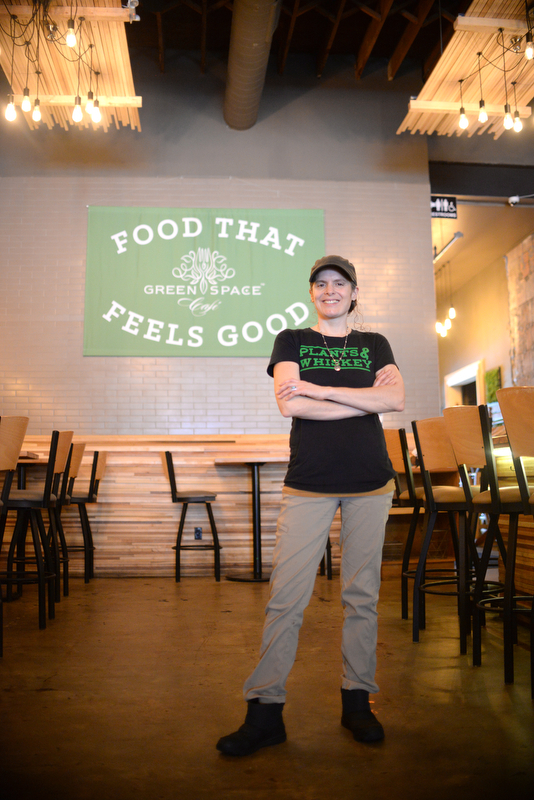 Amber Poupore, of Detroit, is the head of the kitchen at GreenSpace Cafe in Ferndale. A box of Rice-A-Roni helped her see the light. In her late teens, a friend came over to her apartment and started going through her cupboards when she found the packaged rice, Poupore recalls. That’s when things started to click. Poupore started buying more fresh fruits and vegetables and researching plant-based eating. She decided to give it a try for a year, and it’s been her way of life ever since, she says. “I just never went back. And then I was like, ‘I need the world to know this. I am on a mission.’ One thing led into the next. 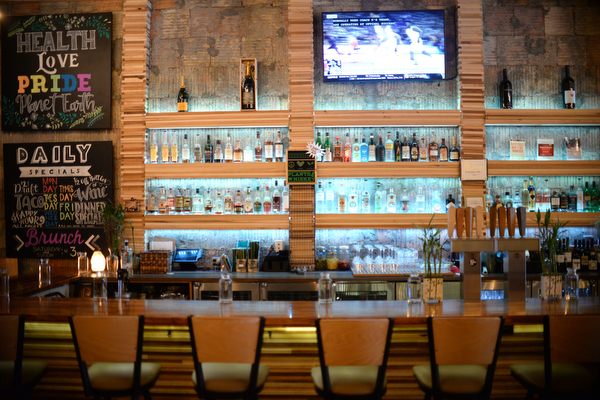 I never thought I would own restaurants, however, it’s given me a platform to reach people,” she says. 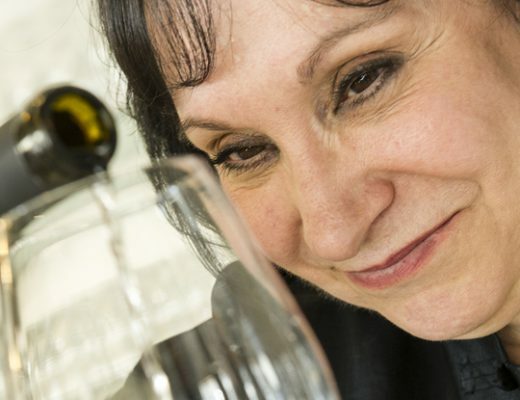 One of her early jobs was at Inn Season Cafe in Royal Oak, one of the pioneering vegetarian restaurants in the area, where she worked for more than a decade. While there, she discovered some of the best food could be created from plants. She tried to learn as much as she could from chef Thomas Lasher (“I literally strive to be like Thomas, like I think to myself, ‘What would Tom do in this situation?’ ” she says), and working there was a stepping stone to opening Cacao Tree Cafe, a vegan and raw food restaurant. 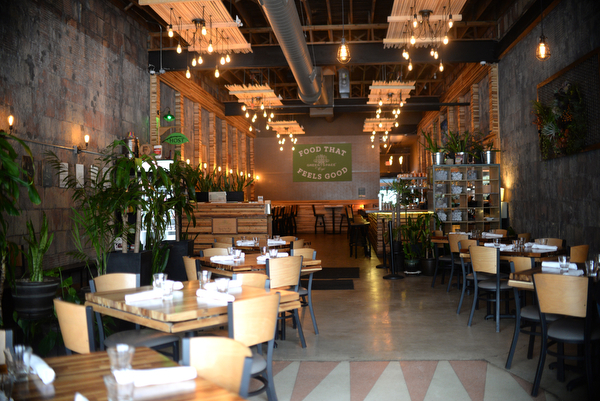 From there she opened The Clean Plate in Shelby Township, which shuttered after five years when she lost her lease in 2018. 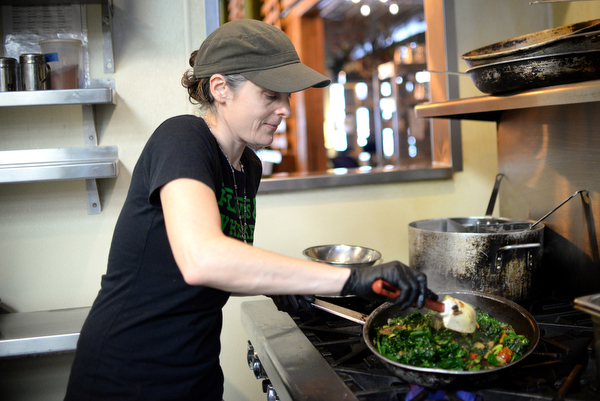 Around the same time, the opportunity came up to head the kitchen at GreenSpace Cafe in Ferndale. 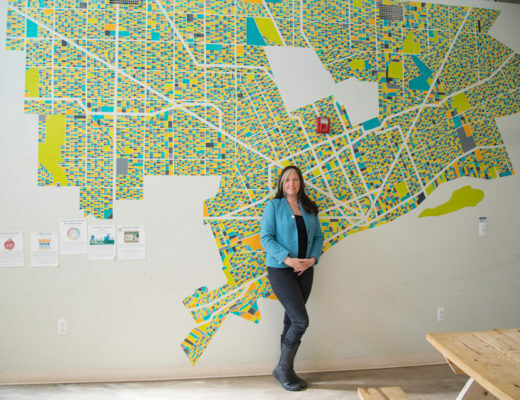 She had worked as a consultant to GreenSpace for 18 months and helped launch it. 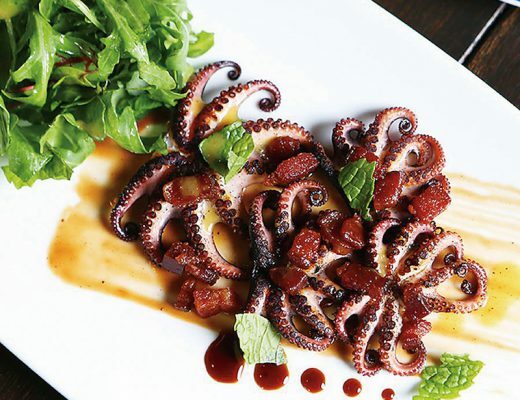 Owner Dr. Joel Kahn brought on Poupore to bring leadership to the kitchen, and while she’s brought some items from The Clean Plate such as dressings, she hasn’t overhauled the menu, instead making a few changes here and there. Even though she’s in charge, she is quick to give credit to her sous chefs, Brittny Andrews and Chelsey Arendt. 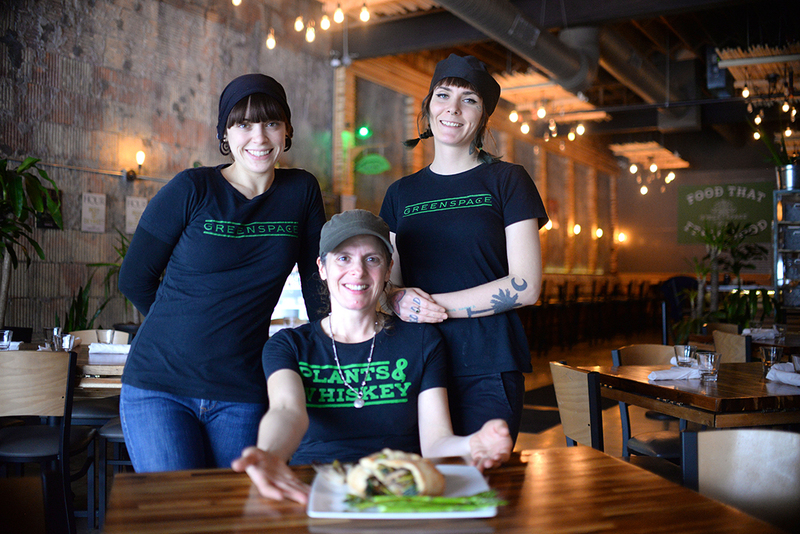 Sous chef Chelsey Arendt, 31, of Macomb, head of kitchen Amber Poupore, 40, of Detroit, and sous chef Brittny Andrews, 27, of Ferndale, showcase a spring vegetable calzone. 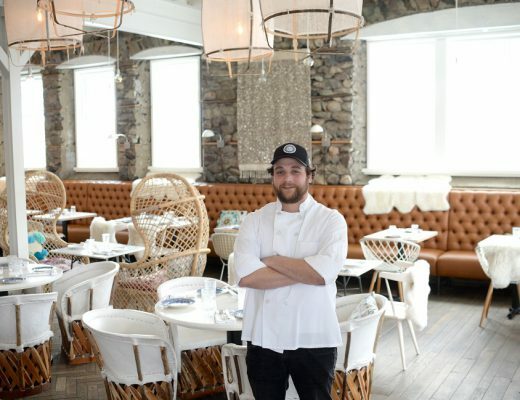 “My role has been to support them in any way that I can and really let them focus on what they’re good at, which is menu development,” Poupore says. Top sellers include the blackened tempeh avocado sandwich, Caesar salad with cashew-Caesar dressing and the superfood salad with quinoa, goji berries, avocado and other veggies. She also introduced the Aegean bowl, a Mediterranean-inspired dish with broccoli falafel, beet hummus, roasted beets, artichoke hearts, arugula, pickled onion and tahini dressing. 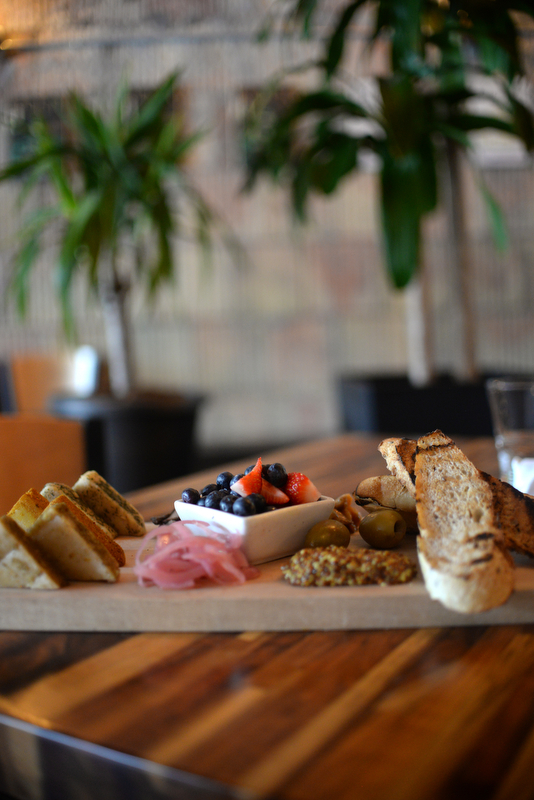 The farm board served at GreenSpace Cafe in Ferndale. Aside from overseeing the kitchen at GreenSpace, she teaches food and nutrition classes, does speaking engagements and still owns Cacao Tree, which she entrusts her staff to run even if she isn’t there. 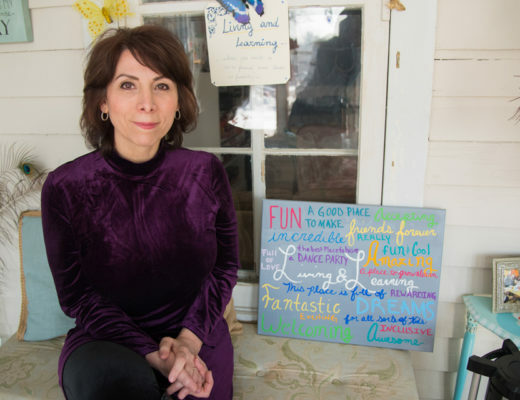 This passion for educating others has led her to work with the nonprofit the Physicians Committee for Responsible Medicine. She recently returned from a trip to the Navajo Nation where she worked in a hospital on a reservation. She helped the cooks implement plant-based recipes and led a cooking demo for adolescents in the psychiatric inpatient unit. “This is a community of people who have been marginalized and treated so wrongly for too long,” she says, adding the trip was “the pinnacle” of all her volunteering and community organizing. She’s planning another trip this month and says it’s among the most rewarding work she’s ever done. From an unhealthy teen herself to helping teens reconnect with their native foods and preventing chronic health-related diseases, her experiences with food have come full circle. Remove dough* from refrigerator. Portion into 5-ounce pieces and roll into balls; let sit on counter at room temperature while you prepare the rest of the ingredients. Roast garlic cloves with enough olive oil to cover, 35-40 minutes until golden brown. Heat medium-size sauté pan on medium heat, add 1-2 tablespoons olive oil, add mushrooms. Cook 5-7 minutes, stirring frequently to avoid sticking to pan. Heat large sauté pan on medium-high heat. Add 1-2 tablespoons olive oil. Toss in cherry tomatoes and salt. Cook 2 minutes. Add asparagus. Cook additional 5 minutes. Reduce heat, add roasted garlic cloves and cook 2 minutes. Add pre-cooked mushrooms; cook 3 more minutes. Add hearty kale leaves; cook a few more minutes then add remaining greens and cook until wilted. 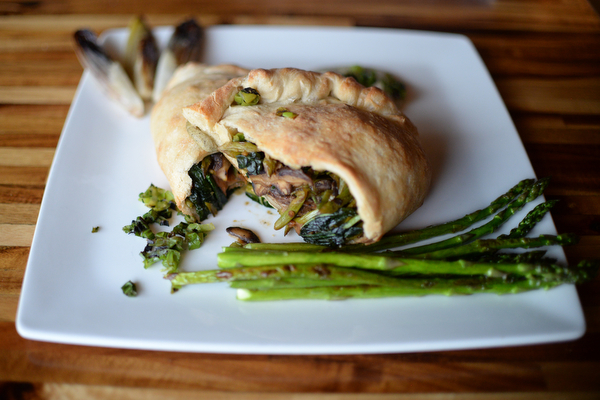 Amber Poupore prepares a spring vegetable calzone. To make the grilled scallion creme, begin with grilling scallions: Hold whole scallions with metal tongs over the flame of a gas range or over a grill. Blacken the leaves. In a blender, place cashew, grilled scallions, lemon juice, 1 cup of water, salt and pepper. Blend thoroughly until cashew pieces are completely smooth; this may take a minute. Add additional ½ cup water as needed to achieve desired consistency. To prepare the dough, squirt a light coating of vegetable oil on a round metal pan or flat surface lined with parchment paper. Press dough with your hands; keep pushing to flatten dough to a circle approximately 6 inches in diameter. If dough is sticky, flour your hands when handling as needed. Place 1-2 cups cooked vegetable mix in the middle of the dough. Fold the dough over in half. Seal the edges using a braided technique or simply crimp the dough with a fork to score. Repeat steps using remaining filling and dough. Bake calzone in oven on baking sheets lined with parchment paper for 15-20 minutes, until dough is golden brown. Place the calzone on a plate with marinara, top with scallion creme. Serve with additional selection of grilled or sautéed vegetables. *For the dough, make your own favorite pizza dough recipe or purchase a ready-made variety, fresh or frozen. Remove dough from the refrigerator and allow to sit at room temperature for at least 20 minutes or until dough begins to soften, which will prevent the dough from stretching back as you flatten it with your hands.